anonymously report any suspicious activity relating to poaching. To top that, the Wonderbag team have decided to match our donations, which doubles the impact. Once we have gathered enough bags (at our first activation we gave away about 300 bags), we head to a community chosen by Ezemvelo KZN Wildlife where the enthusiastic and passionate teams work together to introduce the wonders of the Wonderbag and talk about rhino poaching and the USSD code. A Wonderbag is a foam-stuffed fabric bag designed to retain heat and slow-cook your food. Simply bring your food to a boil and, instead of using electricity, gas, or firewood to slow-cook your meals, pop it in the Wonderbag for a few hours. It's a brilliant energy-saving bag that is safe to use. Our custom-made Wonderbags come with an embroidered anti-poaching message and a USSD number set up solely for the cause of prompting community members to anonymously report suspicious activity relating to poaching. HEALTHY: Cooking in a Wonderbag keeps the moisture inside your ingredients and nutrients don't boil away, promoting healthy food preparation. 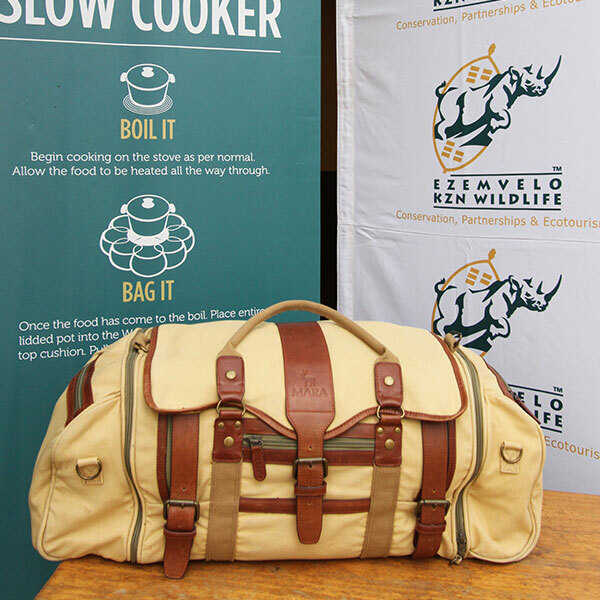 SAFE: Slow-cooking in a Wonderbag uses less water, food doesn't burn, and is safe to leave unattended. TASTY AND DELICIOUS: Slow-cooking in a Wonderbag tenderises meat, keeps vegetables firm, and allows flavours to develop, so meals are tasty and delicious. GORGEOUS: Wonderbags are designed and made in attractive fabrics that are easy to wash, wipe, and clean. PORTABLE: The Wonderbag is perfect for transporting meals to picnics and to friends - ready to share and eat - piping hot. Once it is used, it can be put away. WONDERTIME CONVENIENCE: Eat when you're ready. Family or friends running late? Keep your Wonderbag meal fresh and hot without spoiling it or prepare meals in advance, the night before, or in the morning and just reheat and serve. A nutritious meal is ready in minutes. INSULATES: Hot and cold - Wonderbag keeps things cold too, so it's a great farmers' market or supermarket companion to keep your groceries cold and frozen while travelling. VERSATILE: The Wonderbag is not just a slow cooker. It's a great YOGHURT-maker, RICE-cooker, and BREAD-'prover'. 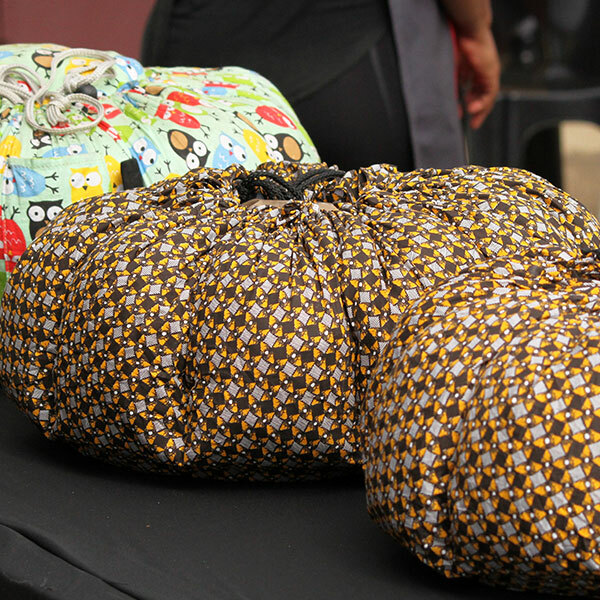 CATALYST FOR CHANGE: The Wonderbag Changes Lives. For every Wonderbag bought, a donation is made to The Wonderbag Foundation who distributes Wonderbags to families in need in Africa who, by using their Wonderbag, generate more disposable income for education, better health, have more time with their families, are safer, use less fuel, and forests grow back which all contributes to The Wonderbag Effect. GOODNESS IN A BAG: The Wonderbag is good to the environment and good to you. 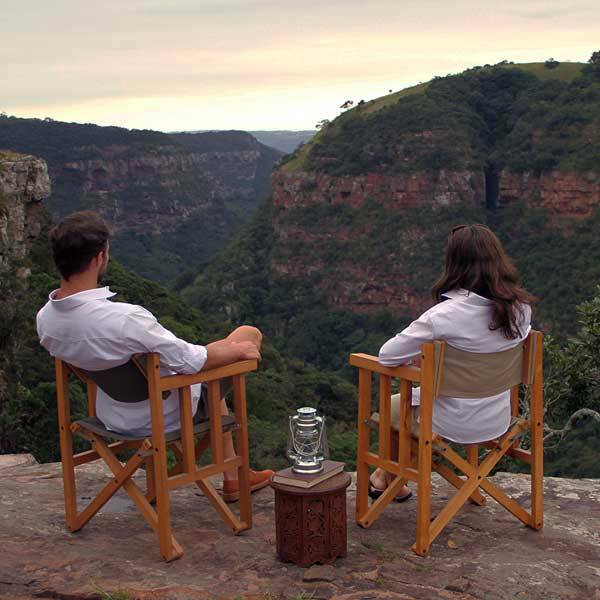 How are Ezemvelo KZN Wildlife involved? The Ezemvelo team are passionate: passionate about wildlife, passionate about conservation, and passionate about the communities. Jabulani Ngubani, manager of Hluhluwe-iMfolozi Game Reserve, has been with this project from the beginning. He played an integral role in wording and translating the anti-poaching message, selecting the USSD code options, and choosing the communities. He personally communicates with the inkosis of the villages and organises the date and proceedings of the activation day to ensure everything goes smoothly. The Anti-poaching Unit and a number of other Ezemvelo staff are present on the day of the activation - uniformed and ready to lend a hand wherever needed. Most importantly, Jabulani and his team are at the receiving end of the USSD messages and will act on the reports they receive. For every Mara&Meru™ Safari Voyager you buy, two anti-poaching Wonderbags will be delivered to communities on the outskirts of game reserves in Africa - one from The Safari Store and one from Wonderbag. This exciting soft and squashy canvas and leather bag has a clever design - allowing you to build your own bag on safari, travels, and every day. The core bag has detachable side pockets which can be zipped off and used as stand-alone bags, which you can use everyday as a handbag alternative, work bag, or man bag. If you have fallen in love with Africa on safari, give yourself the gift of a great bag you will love and use on all of your day-to-day adventures and know that you are making a difference to Africa's precious wildlife and communities by using it. Over and above that, for every item you buy from the YOUbuy, WEgive range, a percentage of the profits will go into The Safari Store Trust which is used to fund conservation and community projects. What happens at an activation? The activation process is where the Wonderbag anti-poaching project comes to life. 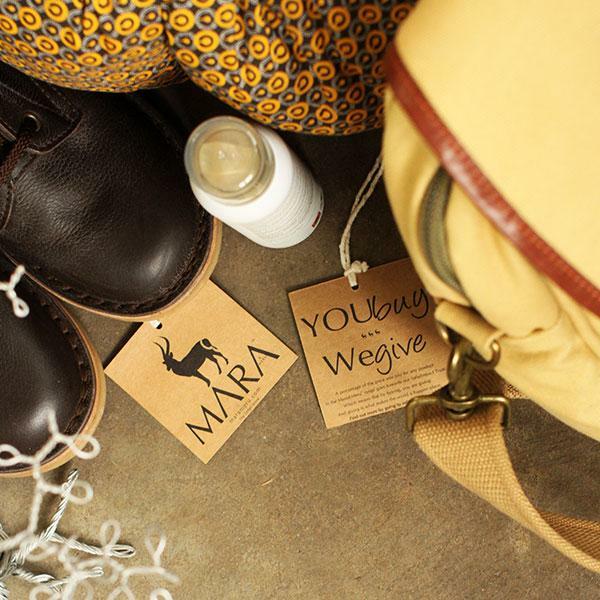 Together with the teams from Wonderbag and Ezemvelo KZN Wildlife, we head off to the chosen community to deliver the Wonderbags we have donated through the sales of our Mara&Meru™ Safari Voyager bags. The ladies from Wonderbag introduce the wonders of the Wonderbag to the community and demonstrate how to use it. Jabulani then takes a moment to talk about poaching and explains how the community can anonymously report suspicious activity related to poaching using the USSD code. While the community is being addressed, the team from Wonderbag prepare a meal (in Wonderbags of course!) to be served afterwards. Scroll through the images below to see photos from our first activation.